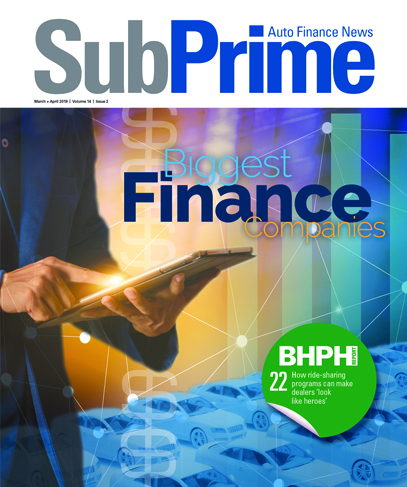 The combination of auto financing availability and credit unions and late-model used vehicles from one of the largest rental companies is continuing to generate record-setting originations. Strong credit union partnerships have long been a driving force behind the growth of Enterprise Car Sales, which opened five new locations in Arizona, California, North Carolina, Pennsylvania and south Florida — in the past 18 months. In fact, Enterprise Car Sales secured 38 new credit union partners and generated a record $576 million in origination volume in 2017. “We’re thrilled to partner with Enterprise Car Sales,” said Dorothy Spilker, vice president and chief operations officer at First Eagle Federal Credit Union, which has branches in Maryland, Texas, Illinois and Tennessee and is one of Enterprise Car Sales’ latest credit union partners. “Enterprise shares our commitment to excellent service, which — combined with First Eagle’s low-rate financing — allows us to provide the best experience to our members," she said. Compared with other types of finance companies, officials pointed out that credit unions saw the highest rate of growth in 2017, growing total automotive finance market share to 21 percent — an increase of 6.9 percent. In addition, Enterprise insisted used-vehicle financing offers increased profit potential for credit unions, as the average used-vehicle installment contract amount reached $19,189 last year. Enterprise Car Sales, which sold 12 percent more vehicles in fiscal year 2017 than in the previous fiscal year, is further supporting this growth through tailored used-vehicle buying programs that create opportunities for credit unions to increase their used-auto loan portfolios and optimize member loyalty. All told, Enterprise Car Sales has helped generate nearly $11 billion in origination volume during the past 30 years with more than 1,000 credit union partners nationwide, including longstanding partners Golden 1 Credit Union and Municipal Credit Union. Sue Calais, assistant vice president of strategic partnerships for Enterprise Car Sales, added, “By expanding our network of credit union partners, we’ve charted a course to continued strong growth. “We value the enduring partnerships we’ve built with credit unions over the past three decades. And we take pride in the fact that they are underpinned by a shared commitment to customer service,” Calais went on to say. In addition to partnering with credit unions, Enterprise Car Sales also recently launched a commercial accounts program, which specializes in assisting businesses making multiple vehicle purchases.